Art Inside samples art located in buildings on the University of Maine campus and at one of UMaine’s external sites. 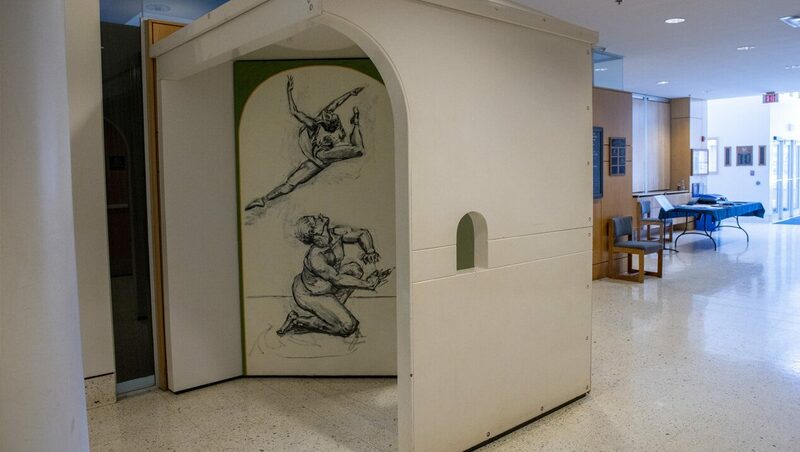 The majority of works on the tour have come to the university through Maine’s Percent for Art law, enacted in 1979 to sponsor original art for newly constructed or renovated state-funded public buildings. The university also is fortunate to be the recipient of significant works of art as gifts of donors, many of whom are alumni; a few of these gifts are included in the tour. Art Inside showcases only some of the many works of art found at UMaine. Everything on the tour is easily accessible in the buildings noted, and available during normal business hours. In addition to what is on the tour and other pieces you might happen upon “inside,” UMaine’s art collections and special exhibits can be found at the University of Maine Museum of Art in Bangor, the Lord Hall Gallery on campus, the Hudson Museum in the Collins Center for the Arts, and the Fernald Art Gallery at the Frederick Hutchinson Center in Belfast.